Powerful extraction equipment speeds the drying process by removing the bulk of the water from your home or business. Our professionals are always learning new techniques and using the latest technology for your property. Our Professionals study IICRC standards and best practices in water restoration, fire restoration, mold remediation, carpet and upholstery cleaning, and other cleaning and restoration courses. They can quickly get your property looking its best. Restoring property is less expensive than replacing property. Our professionals know the rule is "Restore whenever possible, replace only when necessary." Using this approach helps keep costs down while still providing the best services possible for you. The exterior walls, doors, and windows are the protective shell of your property. 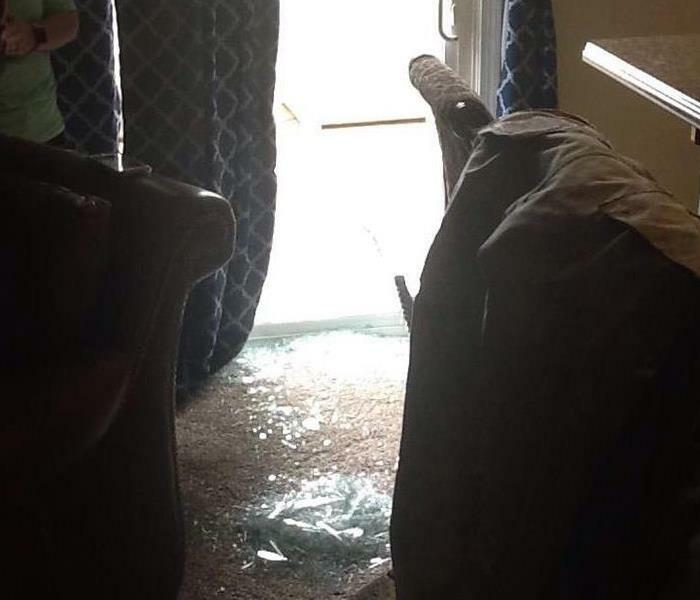 Even small flying debris can compromise a window or door. Our team checked for weakness and then installed temporary wind protection. Here is what a wild wind storm did to a locals glass door. The glass door was hit by a branch that flew because of the wind. SERVPRO of Newport News was able to fix it fast!! Give us a call at 757-244-8467! Here is what it looks like to clean up some yucky mold. 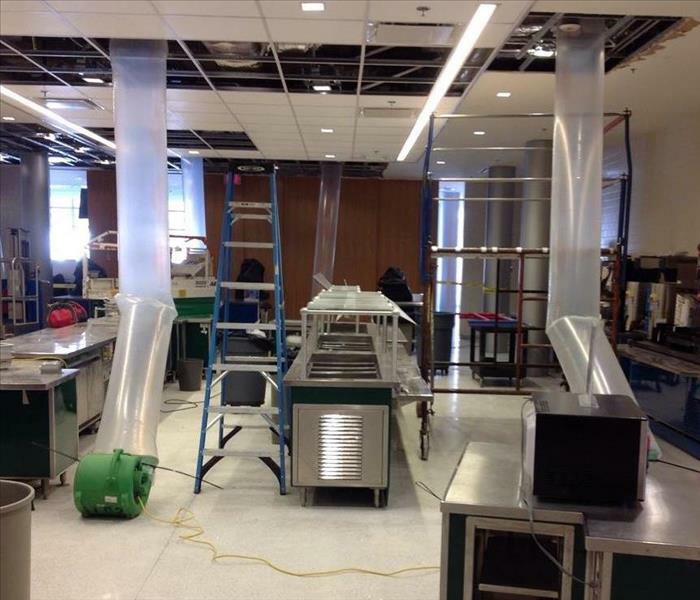 Our professional equipment can get rid on that mold in no time! We need it gone fast especially when it happens in a local nursing home. Give SERVPRO of Newport News a call at 757-244-8467. 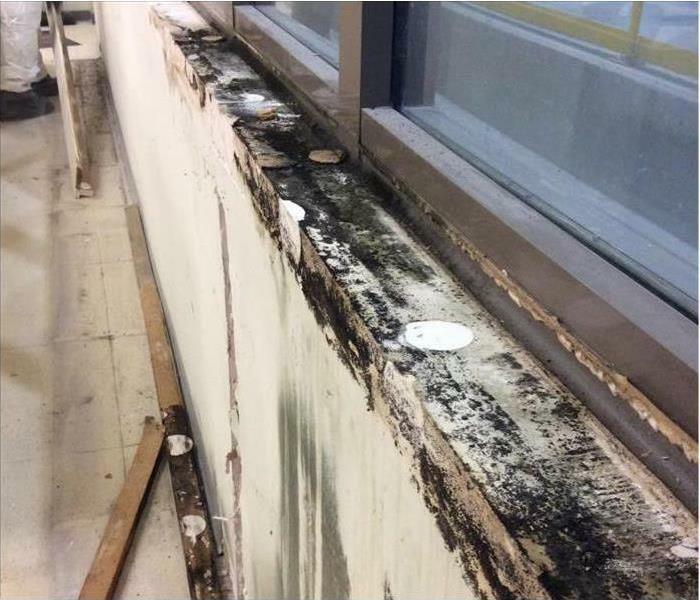 Here we have some major water damage that happened in multiple offices in a local medical office. Luckily we had so much equipment to use because there was so much water damage. 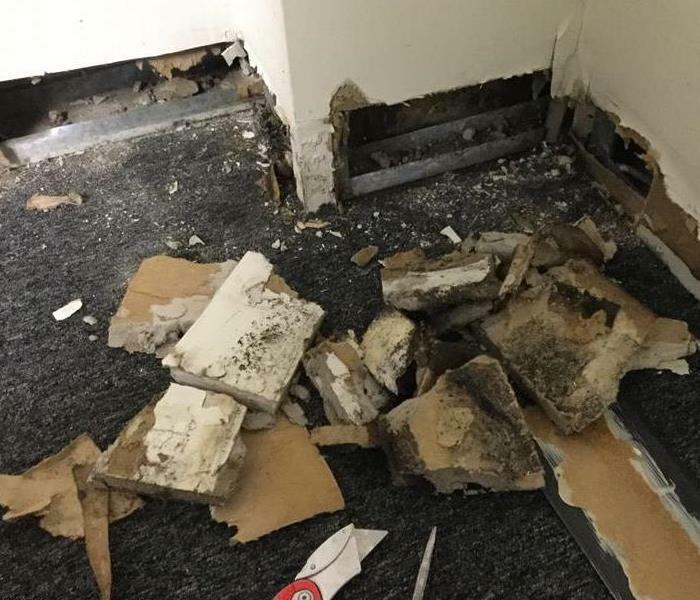 A heavy rainfall caused this office to have such damage. 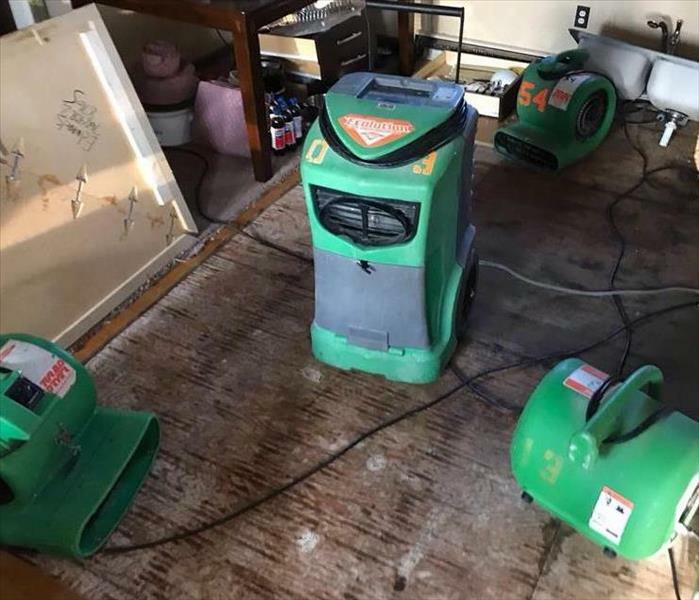 SERVPRO of Newport News was able to take all the water out with our professional equipment. Give us a call at 757-244-8467. 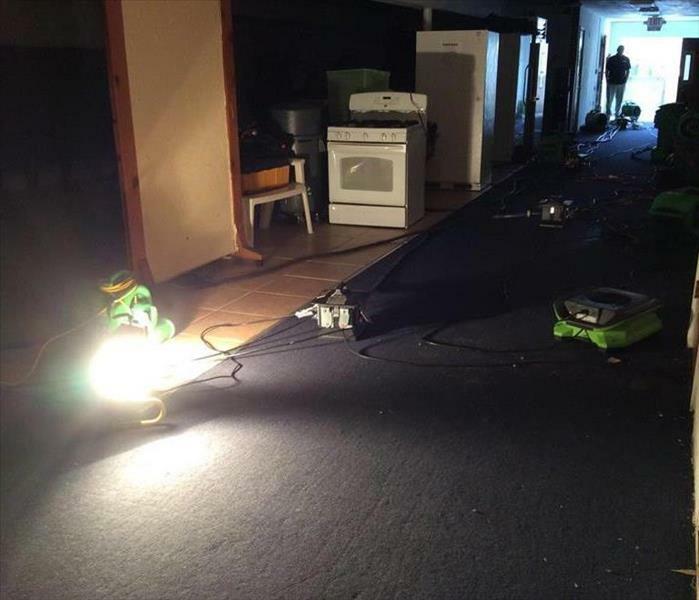 Here we have our team extracted water damage from a local church. Our team has to work with out any light for the whole job. Not only did this church have water damage, but it also had fire damage. 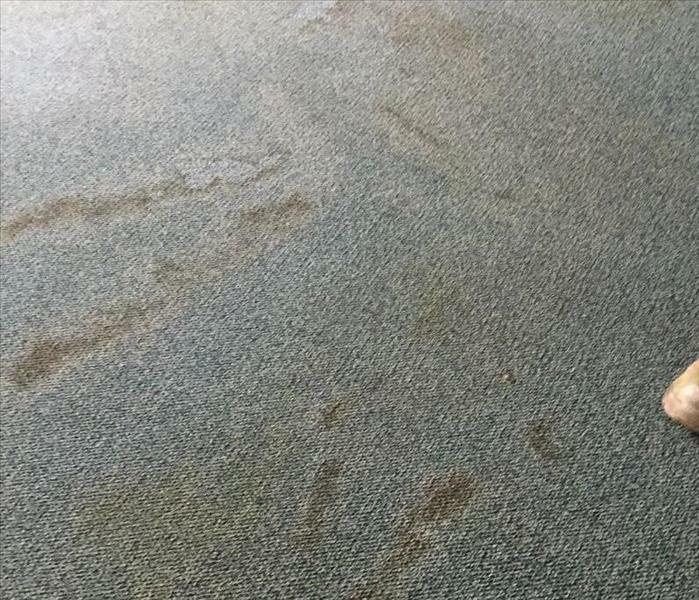 SERVPRO of Newport News was able to make it look "Like it never even happened." Our customer was extremely happy with the turnout. SERVPRO of Newport News is available 24/7 for any of your restoration needs. 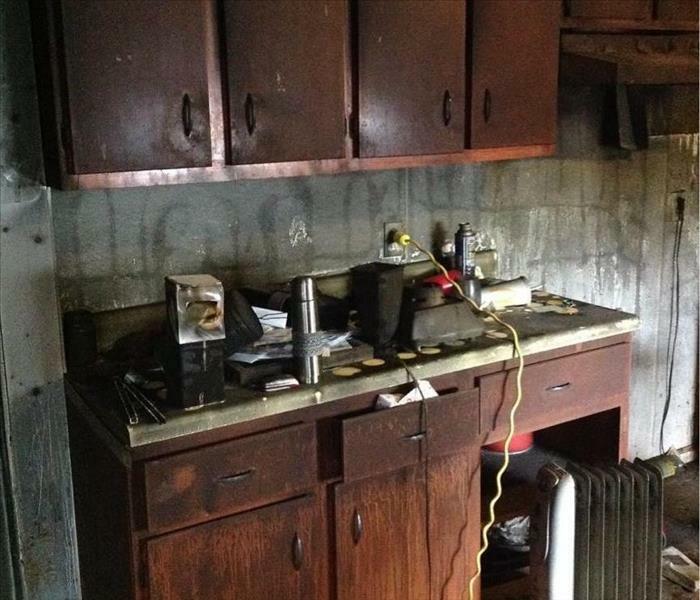 Heavy fire damage occurred to this residents home in his living room and kitchen, double trouble! The kitchen had smoke damage, luckily its no trouble for our professional equipment and team. 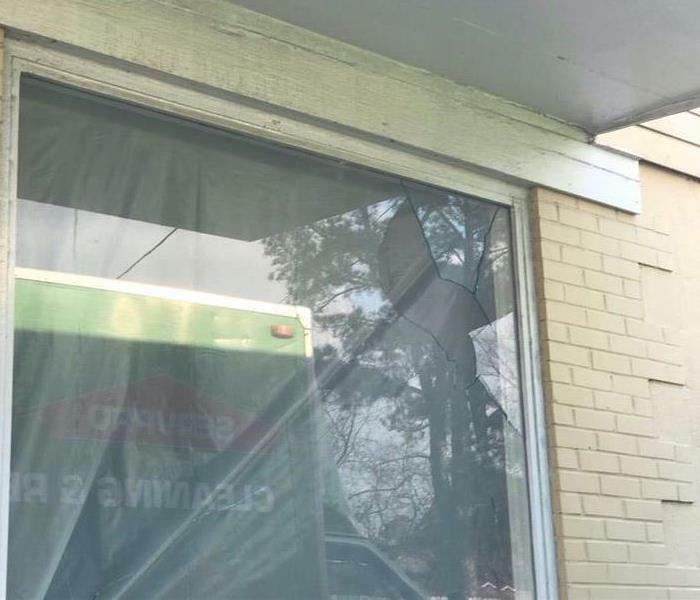 SERVPRO of Newport News was there for a couple days because of how much damage there was. A free quote was given, and once the customer agreed we were there in hours. 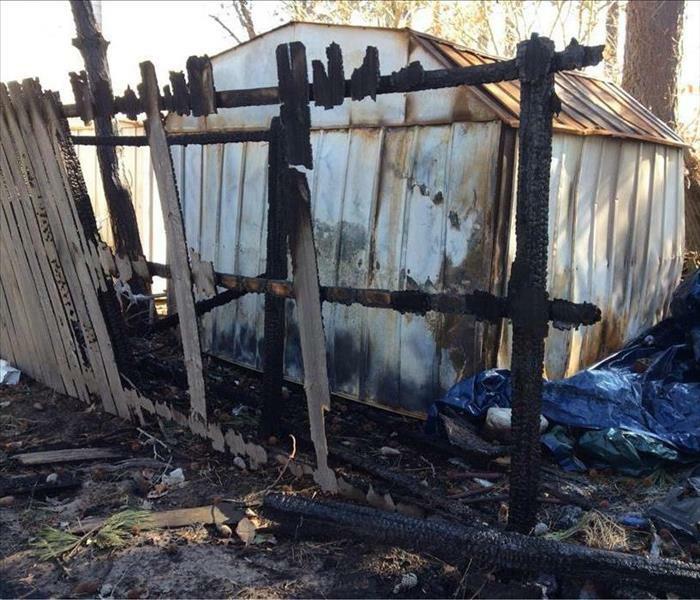 Here is a shed that caught on fire in a local residence home. The fence that was around it started to deteriorate. SERVPRO of Newport News was able to fix the job easily, the shed now looks "Like it never even happened." 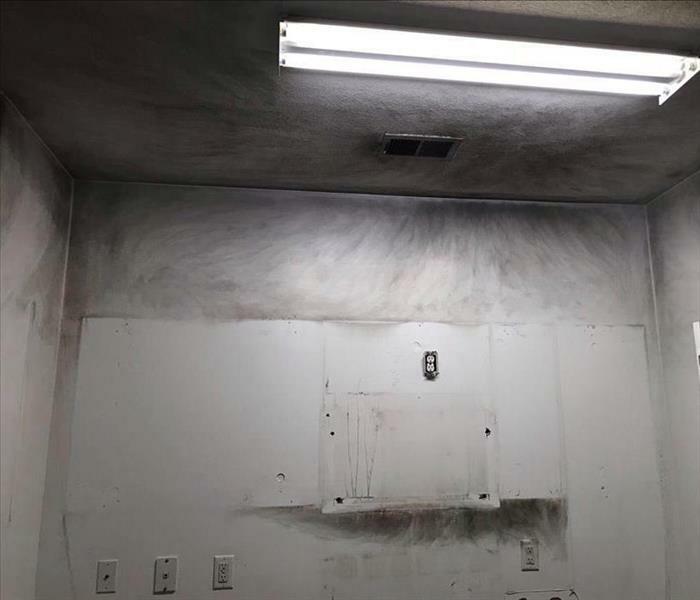 Here is what looks like smoke damage after a bad fire in a local apartment complex. 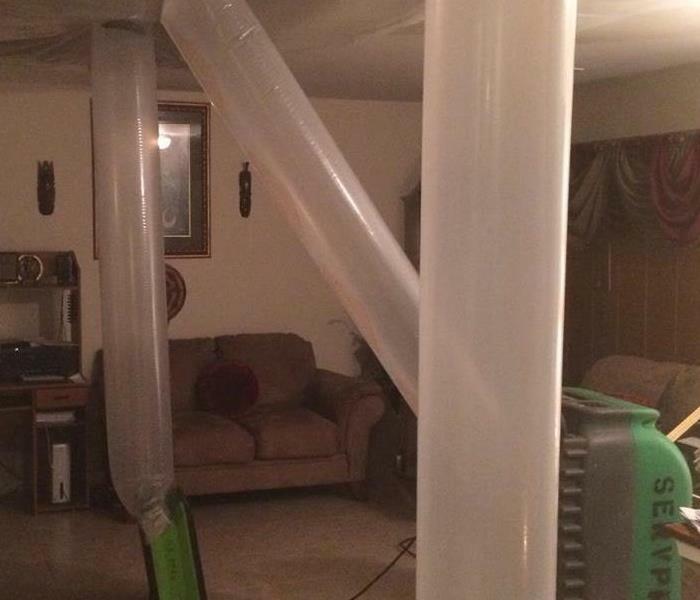 Luckily, they called SERVPRO of Newport News and we gave them a free quote. Once the customer compared all their quotes we ended up being the least expensive. SERVPRO of Newport News was there as soon as we could. 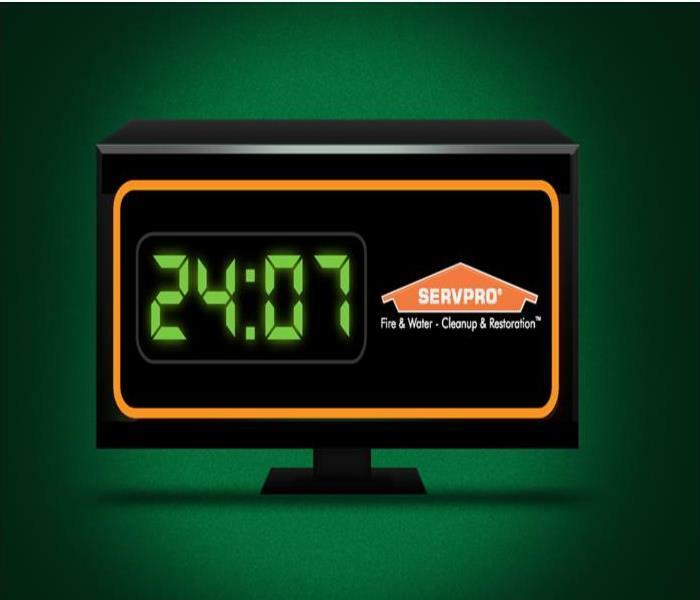 SERVPRO of Newport News is available 24/7 and 365 days a year to help your restoration needs. 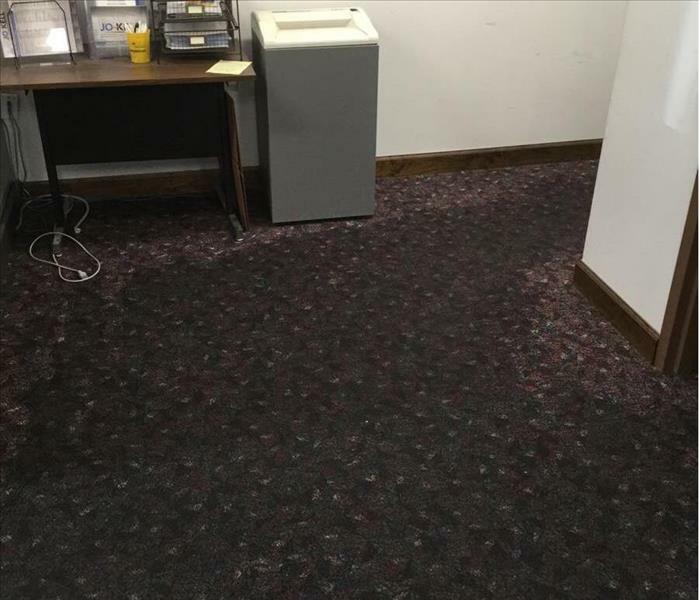 This local office building had water damage in every room they had. 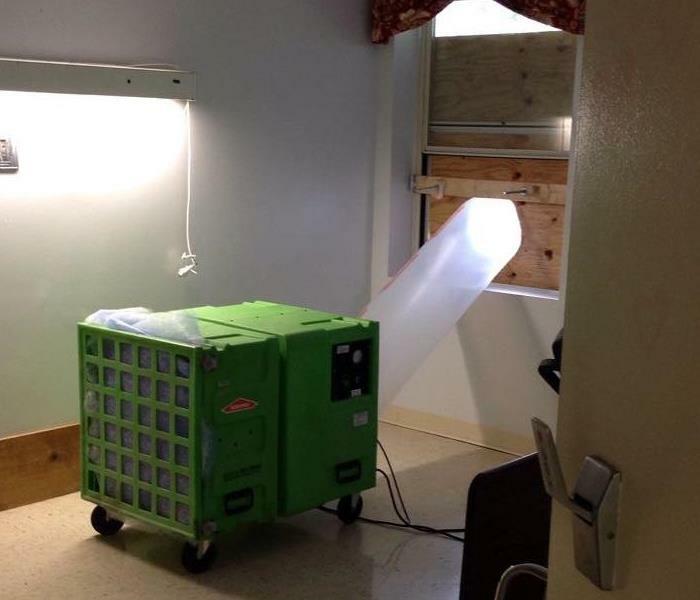 Luckily, they called SERVPRO of Newport News to get it all extracted. We were there about 2 hours after they called. Were always ready to help at 757-244-8467...24/7, 365 days a year. What is mold? Do I have it? 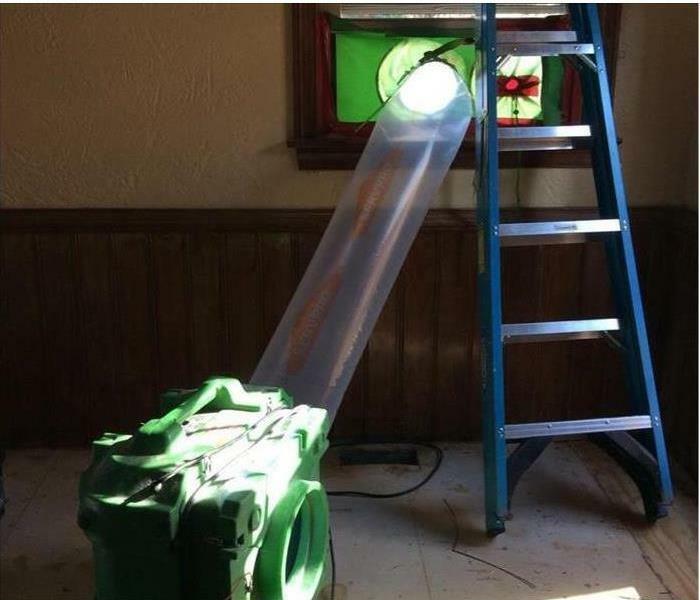 Well mold is the fungus that grows on a rotting substance.Luckily, if you have mold growing somewhere in your home, SERVPRO of Newport News can clean it up with our special equipment. 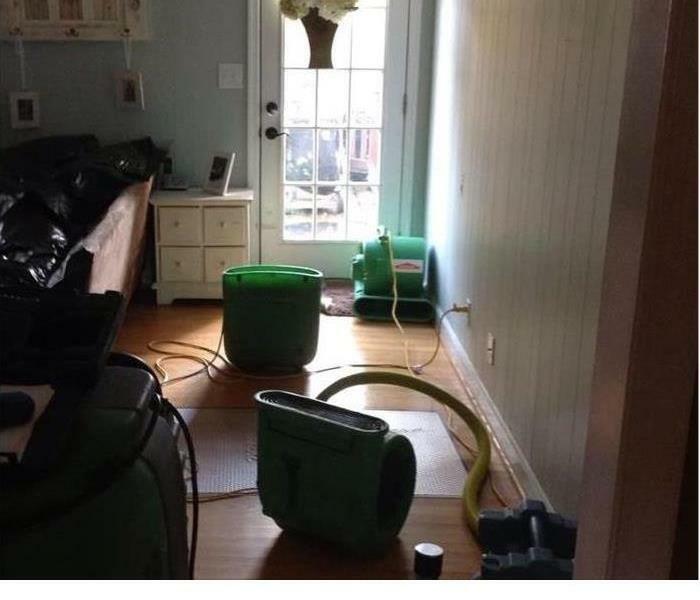 Give us a call at 757-244-8467 and we will make is seem "Like it never even happened"
Our special equipment is always used when we have a water damage clean up to make sure everything is extracted. 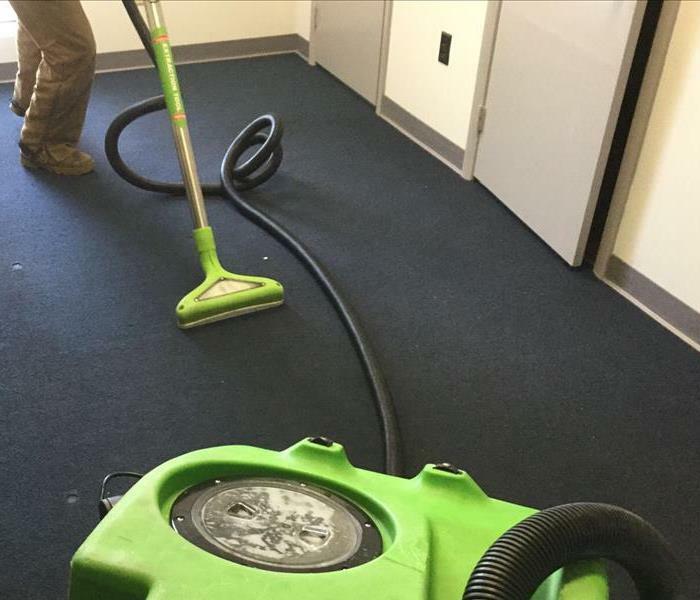 Water damage is our most common type of clean up, so we have to make sure our equipment is up to par. Give us a call at 757-244-8467! This little heater caused some serious damage to a local residence home. 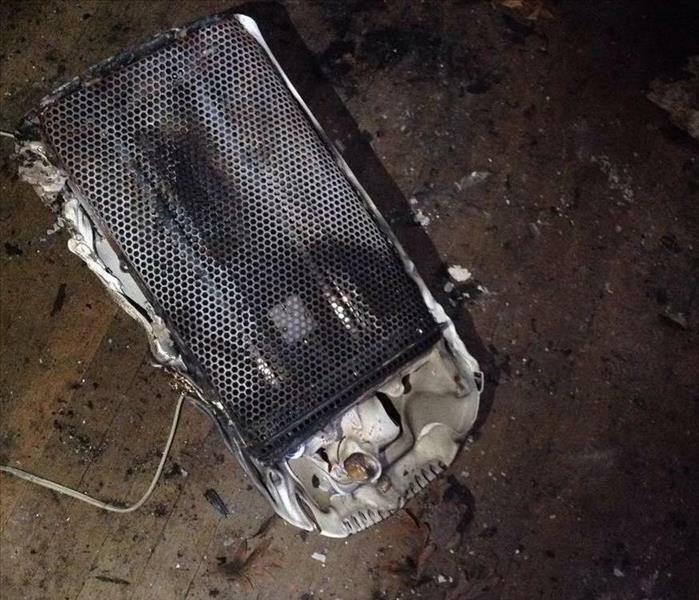 The heater over-heated and starting to cause fire, this tiny heater made almost 12,000 dollars worth of damages! With the weather being bipolar, some days hot and some days cold, make sure on the cold days you are keeping warm safely! Make sure those heaters are no where near items that can cause on fire easily. If this does happen to you, we are here to help! SERVPRO of Newport News will be there as soon as we get the call. Give us a call at 757-244-8467, were available 24/7 whenever your disaster occurs! 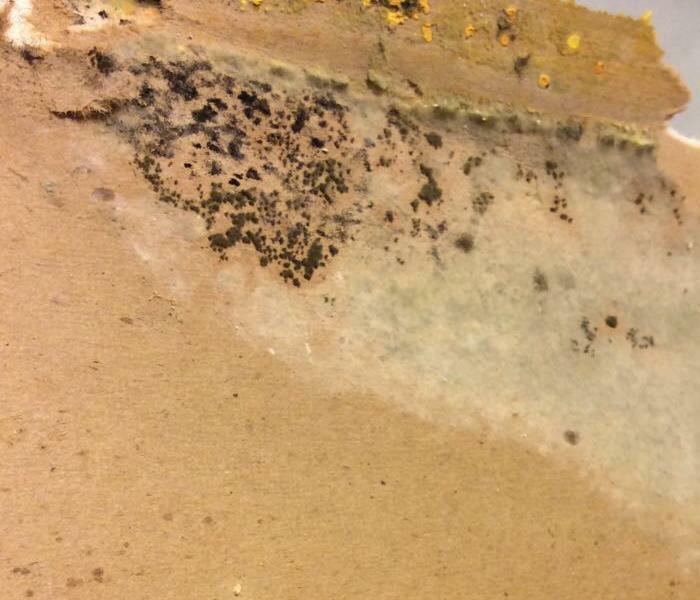 This is actual mold growing on an apartment complex here in the 757. Do you recognize this growing on your walls? 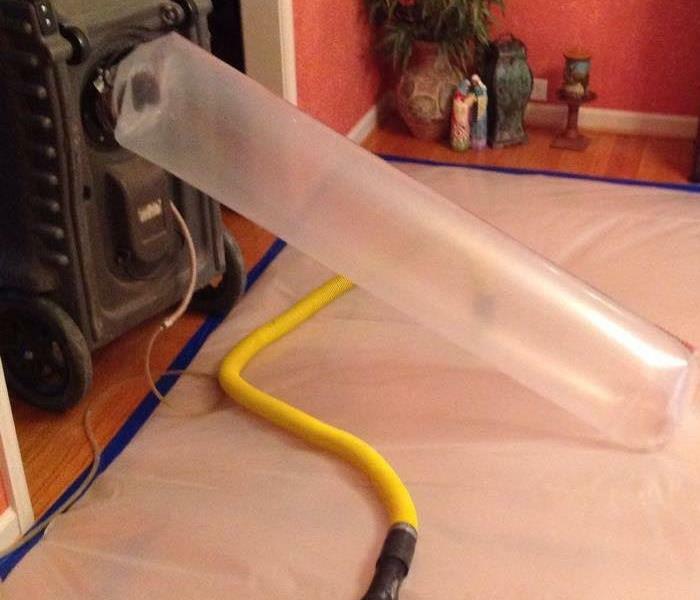 Give SERVPRO of Newport News a call at 757-244-8467 and we will use our special equipment to remove that nasty mold! 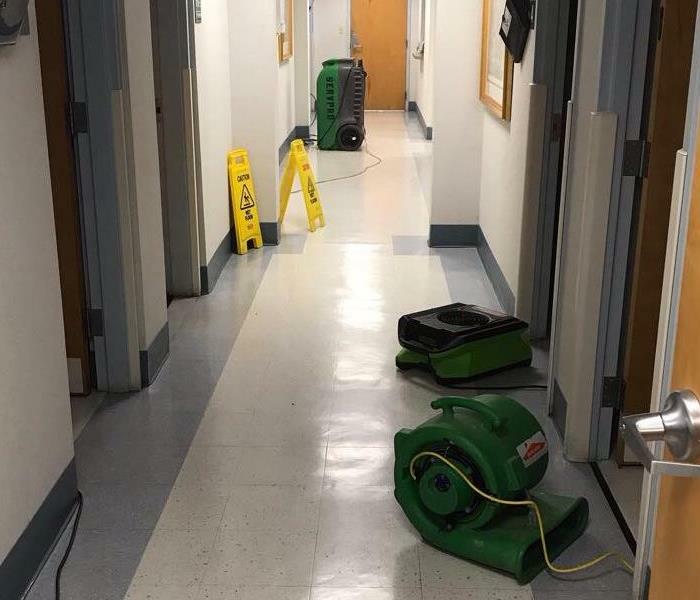 SERVPRO of Newport News received a call from a child care center in Hampton, VA. SERVPRO of Newport News using our professional equipment to get a water damage job done! With all the snow melting away, they child care center had a leak in their cafeteria. We know kids love to make a mess so we had to clean it up FAST. We were on it, right when they called us at 757-244-8467. Don't you hate when you see water everywhere! Especially after a big snow storm hits, causing a delay in getting your packages? 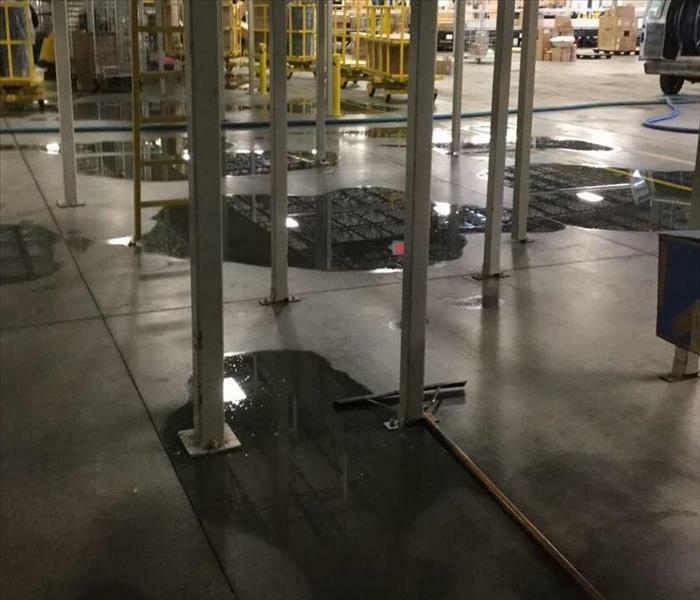 Here we had a pipe burst in a local distribution center. Making a smart decision by calling SERVPRO of Newport News. Not only did we arrive quickly, but cleaned up the mess the same day! Were always here to help no matter how big the job. Give SERVPRO of Newport News at 757-5244-8467 to schedule with us! As the snow is coming down, it can become an obstacle for our team to get from place to place. But....is isnt stopping us. We are here 24/7 no matter the weather!! Always ready to work, no matter the weather! Our emergency service crew is always ready to make it seem "Like it never even happened" no matter the weather. Here we have our crew getting ready to help with water damage and this snow isn't stopping us anytime soon! 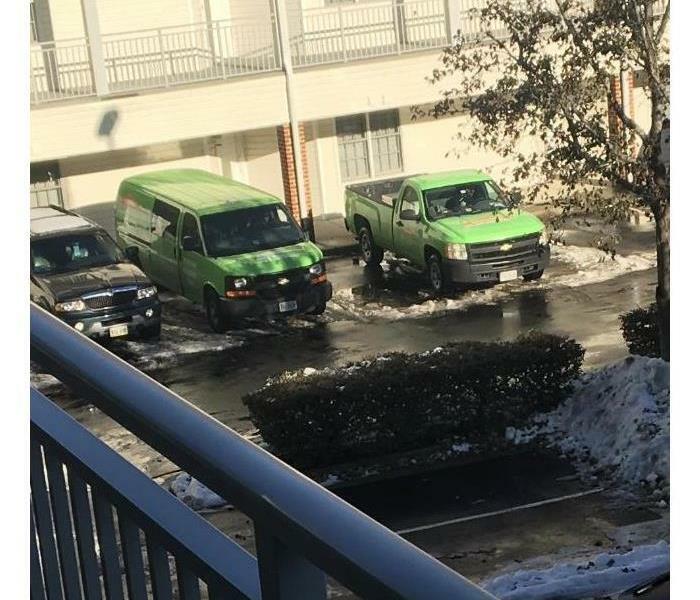 SERVPRO of Newport News is available 24/7 to respond to your emergencies whether it's fire or water (especially during the snow, since busted pipes are very common with extreme cold temperatures). Give us a call at 757-244-8467, were always ready! 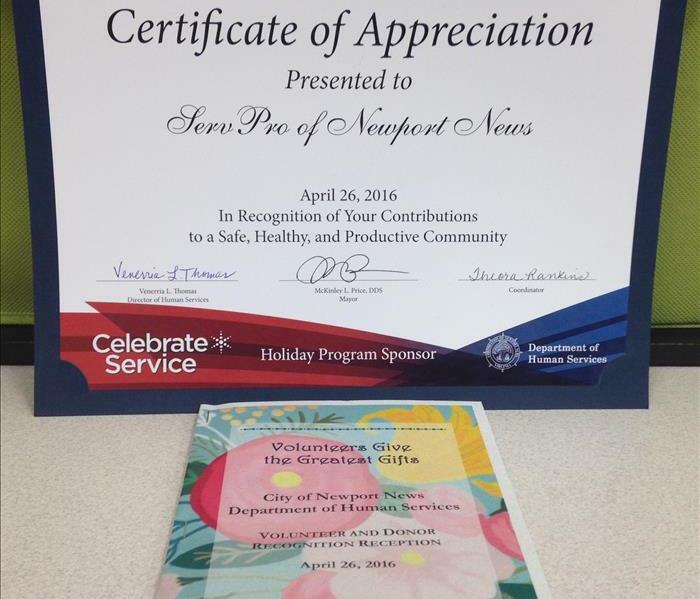 SERVPRO® Of Newport News received this Certificate Of Appreciation from The City Of Newport News Department of Human Services. We want to do our part in getting involved in our community!